Happy February! Today is February 1st and that means that Valentines Day is just around the corner. Time to spread the love. Today we are offering you the opportunity to win a Valentine’s Day Mini Session with Dottie Foley Photography for your little ones. 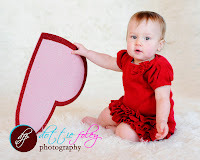 One 20 minute Valentine’s day Mini Session with Dottie Foley Photography and a set of 25 personalized Valentine’s Day cards! (Mini sessions are for babies, toddlers or older children. It is not intended for a newborn session or a family portrait). For a deal on a maternity newborn session see our recent post. You can enter up to three times. The only required entry is to visit www.dottiefoley.com and find your favorite image in Dottie’s portfolio. Come back here and leave a comment about which image you loved the most. For two optional additional entries, like Dottie’s Facebook page and follow her on Twitter @dottiefoley then leave a comment here that you completed those steps. Good luck! *Disclosure: Dottie Foley Photography is providing this Win It Wednesday prize.